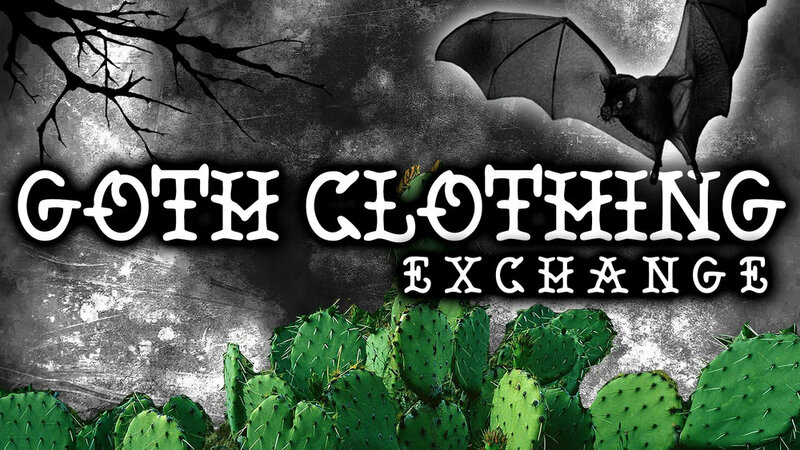 I'm pleased to announce that I am putting together another GOTH CLOTHING EXCHANGE on Sunday July 1st, this time at a new location for us at SKY BAR on 4th avenue! During our past events we have badly needed additional space, this venue will give us all the space we need plus a full bar for 21+, and coffee, tea and soda for guests under 21. Brooklyn Pizza Company is located right next door and will deliver to Sky Bar. Bring your gently used clothing and accessories to sell or trade and meet other goth fashion enthusiasts in your local area. If you don't have anything to sell/trade just come down and browse all the dark fashions! DJ VAMP FELINE will be providing the soundtrack accompanied by classic movie horror on the projectors! - You are 100% responsible for your items, pricing them, providing change/keeping track of your money. - We will have a limited amount of tables. If you have a rolling rack of your own portable table we suggest bringing them for your setup. Please keep your setup looking nice and not too spread out if possible to leave room for others. Please respond in the top thread on the Facebook event page HERE and let us know if you plan on selling so we know around how much space we need. - Please be realistic about the pricing of your items! - If you have any questions please feel free to ask in the event page discussion.